The history of the nursery industry began in 1854 to current times. From Jesse Storrs to Brian Champion the industry has created a rich world-famous legacy. In the beginning, the industry began at the corner of Rt 20 and Bacon Road in Painesville. 1832 JJ Harrison arrived in Painesville at age three. His father began a 60-acre farm in Painesville. In 1850s, he started a nursery on W Jackson Street. Storrs & Harrison Nursery led the development of our communities and our industry. In 2007, over sixty nurseries grossed $87 Million in production, employed over 1300 full-time equivalent workers. NGLCO was founded in 1927 as Lake County Nurseryman’s Association. NGLCO encompasses eight counties in Northeastern Ohio, has over 140 Members of growers and suppliers… including associate members from outside the region. The historic “Nursery Belt” is 6 to 10 miles wide and twenty miles long from Mentor to Madison. In 1955, there were 205 nurseries with 3075 acres in production. In1975 there were 143 nurseries with 7247 acres in production and in 2007, there were 60 nurseries with $87 Million in sales. 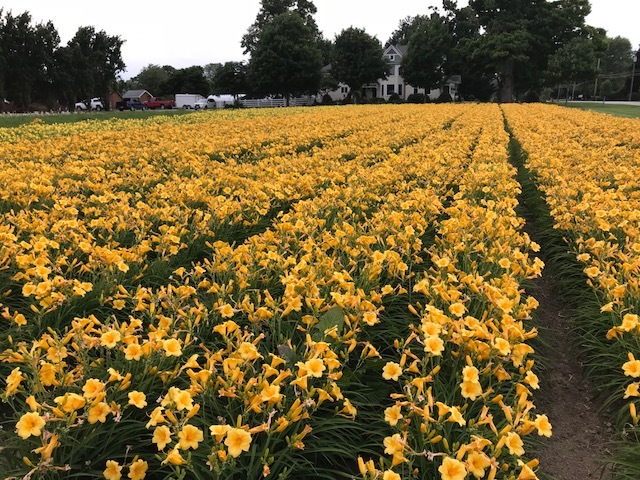 Many other nurseries, large and small began including: In 1861 Western Reserve Nursery, 1877 Wick Hathaway, 1891 Champions, 1893 TB West, 1919 Dugans, 1920 Youdaths and in 1949 Yoes. Present challenges facing present nurseries include immigration reform, nurseries in the face of ‘development’, demographics, consumer trends, an ‘aging industry’ and invasive plants. The future of nurseries is yet to unfold, but the history should be celebrated. Please enjoy the video regarding our nursery industries rich heritage. The following is a 8 minute video about the history of the nursery industry: (ENJOY)!